Ammonia is the silent killer which contributes to more deaths in the aquarium hobby then most people know about. When setting up a new tank we wait through a cycle, allowing the tank to build up beneficial bacteria that can naturally eat ammonia making the tank more stable for life. Once the cycle has completed most people no longer test for ammonia, which is a mistake. Any levels of ammonia can be deadly to fish, invertebrates or even corals, so it’s important to deal with ammonia as soon as it becomes present in your aquarium. A cycled aquarium with enough media for the beneficial bacteria to grow on should be able to handle ammonia produced in your tank. The questions is, do you have enough media to support the bioload of your aquarium? How long does it take for a fish tank to cycle? Get media from an established tank, it will have bacteria already on it and will help build the bacteria quicker in the new tank. If you are thinking about setting up a tank, try placing some media in someone aquarium so that the bacteria can start to build up. Buy bacteria and dump it in the tank. That's right just like everything else you can buy the bacteria in a bottle and pour it into the tank like Dr. Tim's Aquatics, API Quick Start, Seachem Stability, Fritz Aquatics, Instant Ocean, and many others. Everyone has their favorites but they all work, I personally like Fritz. Some people like to add some after large water changes, I don’t think it is essential but you may want to add some if you are adding a large amount of new media to your tank. Shrimp for dinner? If so drop a raw shrimp in the tank and leave it in there for 3-5 days. This will also speed up the cycle process. You could be fully cycled within ten days. I like to place the shrimp in a pantyhose or a media bag, and I will keep it at the top of the tank held with a clip or magnet. How do I know if my tank is done with the cycled? The only way to honestly know is to keep testing. You should test for ammonia, nitrite, and nitrate. Ammonia and Nitrite are deadly to species. The good bacteria will turn the ammonia to nitrite and then the nitrite to nitrate. Have all three test kits ready, once your ammonia levels become 0, and your nitrite levels turn to 0 the cycle should be done. How does ammonia get into my fish tank? Ammonia is highly toxic and accrues naturally in a fish tank from the fish breathing, peeing and pooping as well as leftover food from feeding. 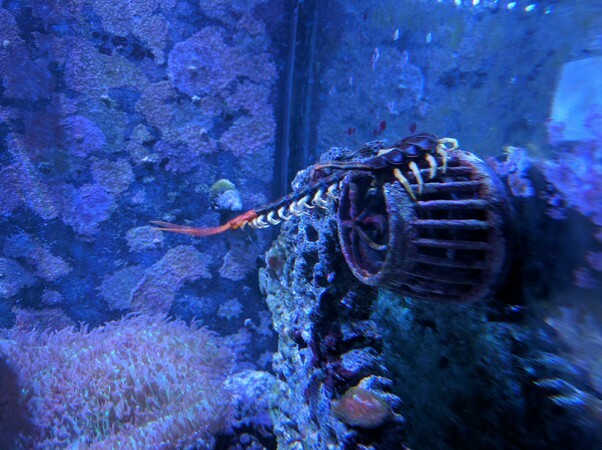 The uneaten food rots in the tank, there are other sources like dead plants or even uncleaned filters. The food will build up in the filter, and it could turn into an ammonia factory, that is why it’s essential to clean your filters. Why did my ammonia spike in my fish tank? So your tank is established but all of a sudden there was a spike in ammonia, well here are a few common reasons why you ammonia could spike in an established tank. Something died, are any fish missing from your tank. Look around you could have a dead fish that is decomposing in the tank causing the ammonia spike. Your tank has enough bacteria in it to support the usual amount of ammonia produced. If a fish dies and is not removed from the tank then you could see a spike in ammonia levels. New additions to the tank, adding a messy eating fish, especially large carnivores can cause spikes in ammonia. A messy eating fish leaves behind lots of small piece of food and even if you have a fish that eats its prey in one bite. Big meals come with big poo. When you add new fish to your aquarium, it's wise to check the ammonia levels for a few days afterward new additions to the tank. Try to avoid overfeeding; feeding is one of the joys of the hobby, so we all tend to overfeed our fish. Fish are opportunistic feeders that some days go without eating. I am not suggesting that you stop feeding your fish look at the species needs to avoid adding any unneeded waste to your tank. Lack of regular maintenance can also cause an issue. Another common thing is adding or removing large amounts of media like adding lots of new rock or removing rock from the tank can cause your bacteria to become unstable. A significant swing in chemistry could also cause your beneficial bacteria to die. How do you check ammonia levels in a fish tank? Seachem Ammonia Alert - Simple to use, inexpensive warning. 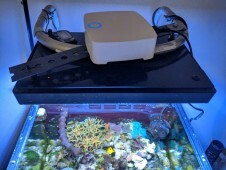 I am not a huge fan of having things stuck to the glass of my aquarium but if you have a sump or an area that you can set this low-cost monitor then its a great way to keep an eye on your ammonia levels without having to test for ammonia continually. 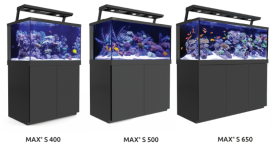 It allows you to act quickly to prevent the loss of any species in your tank hopefully. Ammonia API Test Kit - Simple to use, inexpensive. API Test Strip - Simple to use, inexpensive. How do I reduce ammonia levels in a fish tank? A healthy tank that was properly cycled should have enough bacteria to eat the average amount of ammonia that the tank produces. If you keep seeing spikes in ammonia, you should consider adding more media to the tank to allow more bacteria to grow. If your tank is still reasonably new, consider adding more bacteria to the tank. Cleaning the tank filters the wrong way can cause the bacteria in the filter to die so make sure to check how your filter should be cleaned. If you think you killed the bacteria add more bacteria to the tank. There are also products that are just for removing ammonialike Fritz Ammonia Remover or Kordon AmQuel. There are also ammonia removing filter pads like Aqueon Ammonia Filter Pads, and my personal favorite is the Marineland Ammonia neutralizing blend with carbon media it’s cheap and helps reduce ammonia and polishes the water with the carbon, I usually have some in a media bag in my sump.